Are you a small business owner in Mukilteo and you intend to hire a bookkeeper? Well, this is an amazing move because you will not only save yourself the stress of keeping records for your business but you will also be sure that business books of account are handled by qualified professionals. It is also worth noting that hiring bookkeeping services in Mukilteo is economical and efficient, especially to small business owners. However, you can easily put your business into a big mess if you are not careful about the bookkeeper you intend to hire. The following are basic tips for hiring bookkeeping services in Mukilteo. Experience in bookkeeping services for small businesses is actually one of the most important factors to consider when hiring for bookkeeping services in Mukilteo. In order get excellent bookkeeping services, it is important to only hire qualified professionals with the required skills and experience in the industry. Your Balance Sheet has the qualifications and competence in all areas of bookkeeping services for small businesses, so you can be sure that we can provide you with the service you need. This is another important factor to consider when hiring bookkeeping services in Mukilteo. A good book keeper should have adequate exposure in your industry. For instance, if you run a hotel business, it is important to hire a bookkeeper who is conversant with hotel businesses so that you can get good services. Studies show that bookkeepers deliver better services in the industries that they are conversant with. We have experience in all different small business categories, so we can help just about any small business with their bookkeeping and accounting needs. Certification is another factor that you should consider when hiring bookkeeping services in Mukilteo. It is worth noting that there bookkeepers are regulated by various bodies such as which monitor their competence and customer services. It is, therefore, important to make sure that the bookkeeper that you intend to hire is certified. We have multiple certifications, including an A+ Rating with the Better Business Bureau. A good bookkeeping services in Mukilteo provider should be transparent and accountable. For instance, bookkeepers should be able to share all the information about the business with the owners in the most accurate manner. Additionally, reliable bookkeepers should be accountant able for their actions. They need to provide accurate and informed responses to business owners all the time without beating the bush. When hiring for bookkeeping services in Mukilteo, recommended to hire the ones that have passed certain membership criteria of certain organizations. A bookkeeper who is a member of a certain professional organization is likely to deliver better services that the one with no professional memberships. Additionally, it is wise to hire firm that offer bookkeeping services in Mukilteo and not individuals. That way, you are able to deal with a team of qualified bookkeepers and not individuals. This means better bookkeeping services. 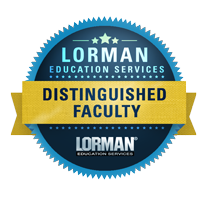 We have associations and memberships with multiple entities, including being a Distinguished Faculty with Lorman Education Services.